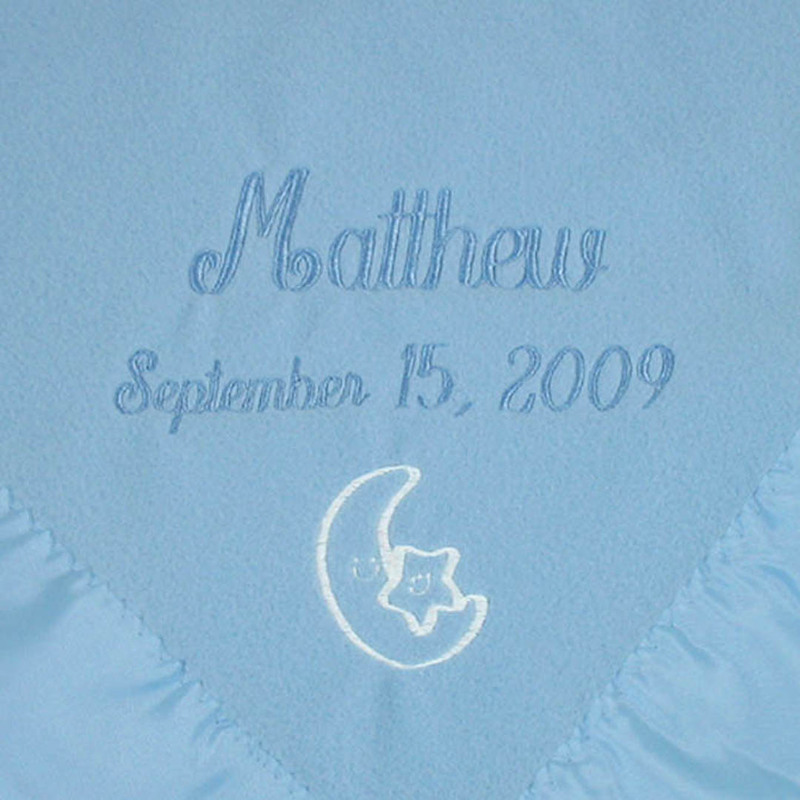 Our new Moonlight Blanket will keep baby company at night. 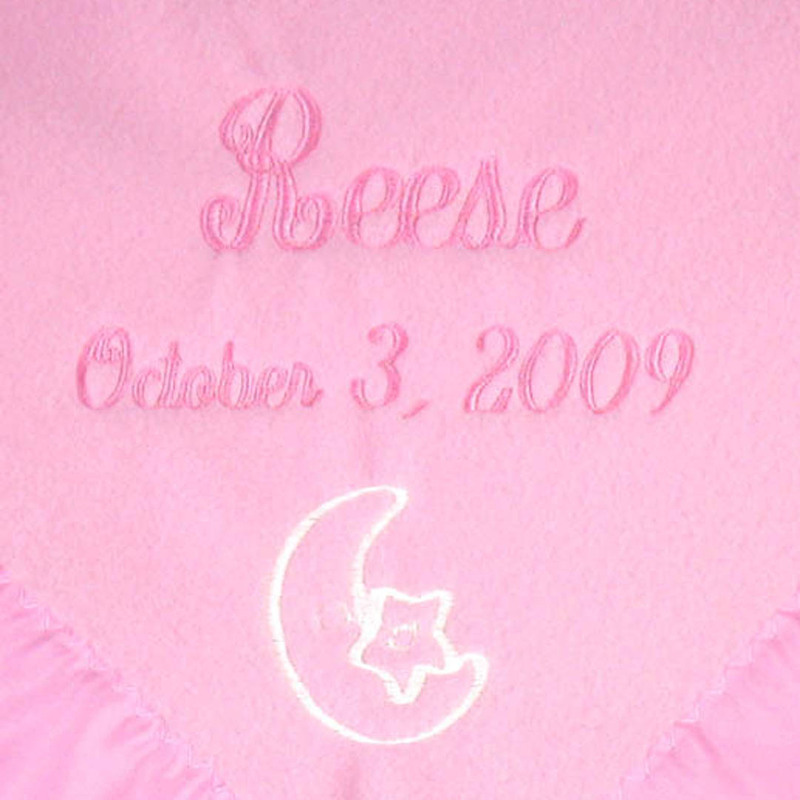 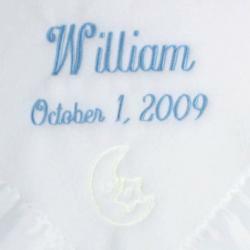 Cuddly, Deluxe Keepsake Blankets are embroidered with baby’s names and date of birth in pink, blue or white thread, and the adorable Moon & Star design is sewn in a special thread that softly glows when the lights are off! 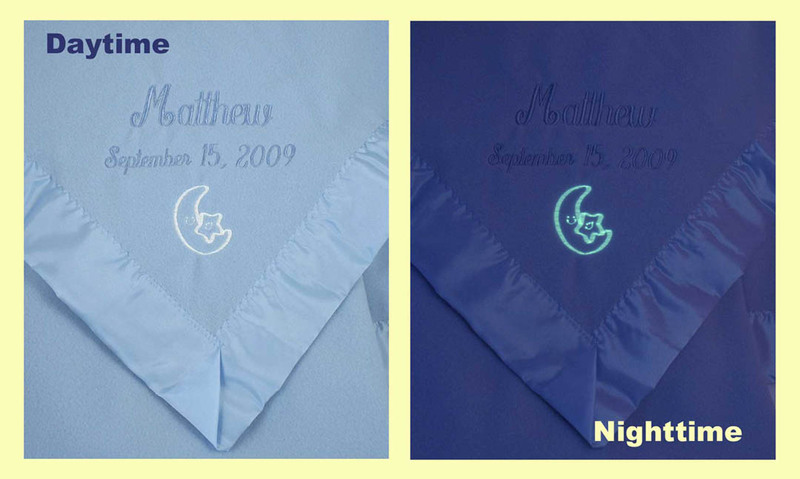 The thread looks white in daylight, and has a soft green glow at night. 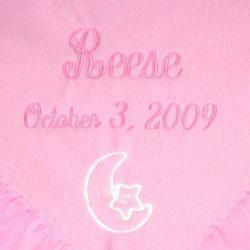 This blanket is sure to become baby's favorite companion both day and night! 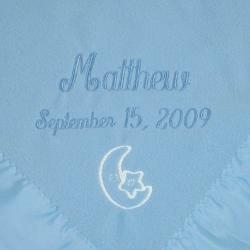 SHIPS NEXT BUSINESS DAY!